The first thing to say is that I bought my Lian Li PC-O11 case with the intention of air cooling but stupidly failed to realise you cant fit decent air coolers in it. I tried AIOs but found them to be too noisy. This led me to deciding to try my first ever custom loop. I blindly followed the advice of others about what radiators to choose which is why i have a 30mm and a 60mm, both hardware labs. The 60mm is a problem. And no, i cant blame the guy for this, it's ultimately down to me to choose the right components. The 60mm is a multiport which i thought would be useful when mounting the radiator on the floor of the case so i could attach a drain port and whatnot. I quickly realised that with the fans attached there would only be about 5mm between the fans and the GPU. I've no choice but to mount it on the top. As you can see it doesn't sit flush with the case because of the sodding plugs in the top two ports. I can just about thread the screws in but no where near 100% without warping the thin metal of the case. I can juuuuuust about managed to get a bendy tube in the top of the res to fill it. 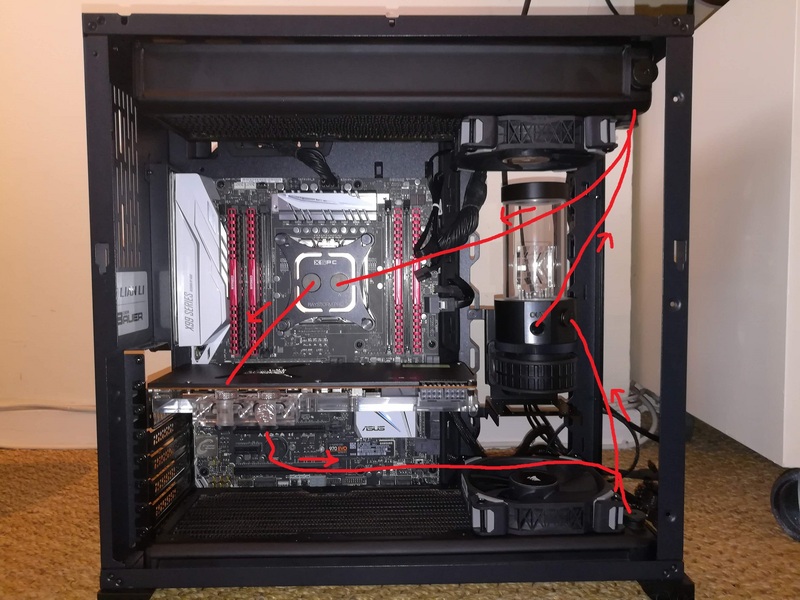 Apologies for the crappy paint skills in the picture below showing the whole system and loop order. I've already bought a ton of soft tube fittings and Mayhems tube and as things currently stand the tubing runs are going to look properly hideous. I might have to buy some 90 degree fittings and extensions to help get the tubing over and around the fans (i've only installed one fan on each rad for loop planning but i do have three fans for each rad). I suppose i could try and return the 60mm rad but in another act of stupidy and i've already flushed it with vinegar and water, who knows if they (not OCUK) will be able to tell and refuse the RMA. Push pull fans on the top rad should solve the top spacing issue with the unused port on the rad. The flow should be reversed. Pump outlet/ front rad/ gpu/ cpu/ top rad/ back to pump inlet. yeah, put intake push fans on the top. 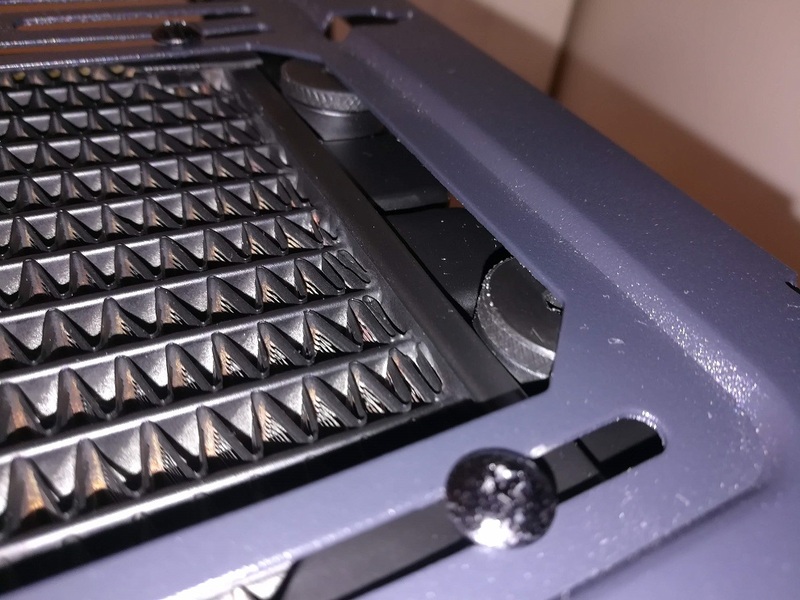 You could get out the Dremel tool and remove some of the case above the plugs if you just had to keep the radiator above the fans, but intake push fans on top would be so much better. And don't worry about running the top radiator as inlet, cool air over the radiator is what you want, just put an exhaust fan in the back and call it good. Think about a car radiator - cool air -> radiator -> hot engine. Nobody worries about the hot air from the radiator blowing on the engine and overheating it. And it seems intuitive to have the top rad as exhaust, hot air rising and all, but hot air isn't going to rise much in a case with an exhaust fan on the back and cool air over the rad is better than warmish air over the rad. That should give you enough clearance to fill. EKWB also makes multi-port reservoir tops that you can buy separately, which might make things easier for you as well if you don't want to use the pump top inlet. For your radiator, you might need to get new screws from a hardware store but make sure that the screws aren't long enough to puncture through the channels in the radiator. These radiators don't have a mechanism to prevent you from doing that. HWL labs should have a protector to prevent this. Also the solution to longer screws is to ether cut them to custom length yourself, easy enough to do with a Dremel, or buy some washers to make up the extra length. Welcome to water cooling. You learned the first lesson, you can only plan so much until you get everything and actually set it all up, At that point the plan is out the window. It only took me 2 and half months to finish my loop, plans be dammed. If able it's always better to buy more and not need it then not have it when you need it. Take out the dremel and make some place for those 2 stop fittings? Last edited by broodro0ster; 03-21-2019 at 09:06 AM. agreed, I have been water cooling for 20 years, and I still have never been able to get everything I need for the build, before I actually tried to build it. weather it be getting the wrong length of bolts, or just forgetting that one extension wire, their is always something, that I still need to get. this upgrade took me a little over two months to complete, and I thought I had everything I needed before I started. Thanks for the advice guys its much appreciated. With the top rad my only idea was to buy some thick washers as mentioned above, probably need longer screws though. 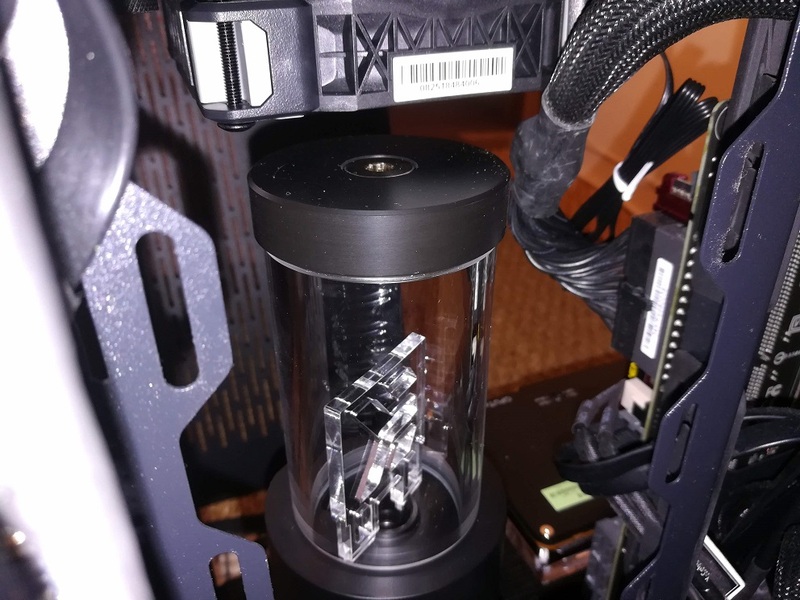 You could add more holes for the pump reservoir combo where ever so it doen't need to be mounted on top of a fan.